Has anybody fitted the engine guard(under the engine bay) on petrol/ecoboost EcoSport? SA says the engine guard is only available for diesel models and can't be fitted on to the petrol models. Isn't it just a bolt on work under the engine bay? Does it really depend on the choice of engine? Please reply if anybody has fitted the same. While purchasing my car, I ordered the sump/engine guard through my dealer. I even sent them pics of the plastic guard which I found in the world wide web and was available as an official accessory in previously. What arrived after a month was the same fabric guard found in the TDCI models. These can be seen hanging from underneath the older cars. I rejected it and they informed that the plastic one is not available as an accessory anymore. I guess its just a bolt on job. Some third parties supply these but haven't tried yet. Available in aliexpress IMO. After a lot of contemplation and consideration, brought home an Ecoboost Titanium S.
Thanks to all those who have helped me with their valuable inputs. The Titanium S in Smoke Grey looks nice. Do post your likes and dislikes and experiences. How is the SYNC holding up for you? Mine is acting up lately as the android mobile gets disconnected frequently and randomly. Connection through bluetooth is ok though but getting disconnected means Android Auto is unavailable when it does. Have absolutely no issues with Android Auto and connection with the phone. Never gets disconnected by its own. In your case, it mostly looks like an issue with the cable. Have you tried connecting with different cables? Suggest you do that and see. Worst case, it might be an issue with your phone's port. Comparison video by Overdrive for the sub-compact SUV segment. 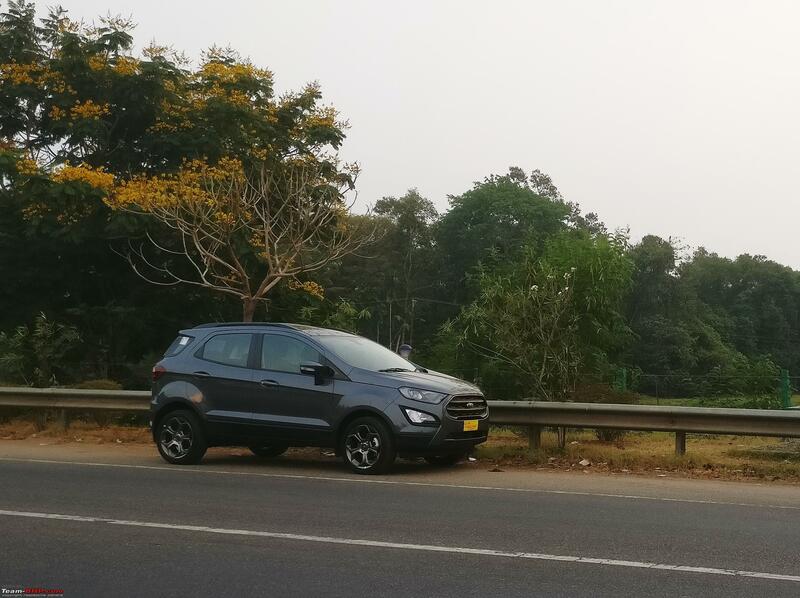 As per the video too, Ecosport still holds the fort when it comes to the ride and handling department. As per the video too, Ecosport still holds the fort when it comes to the ride and handling department. The main concern about Ecosport is it’s stiff ride quality. So while I agree about the handling department, I tend to disagree on the ride department. 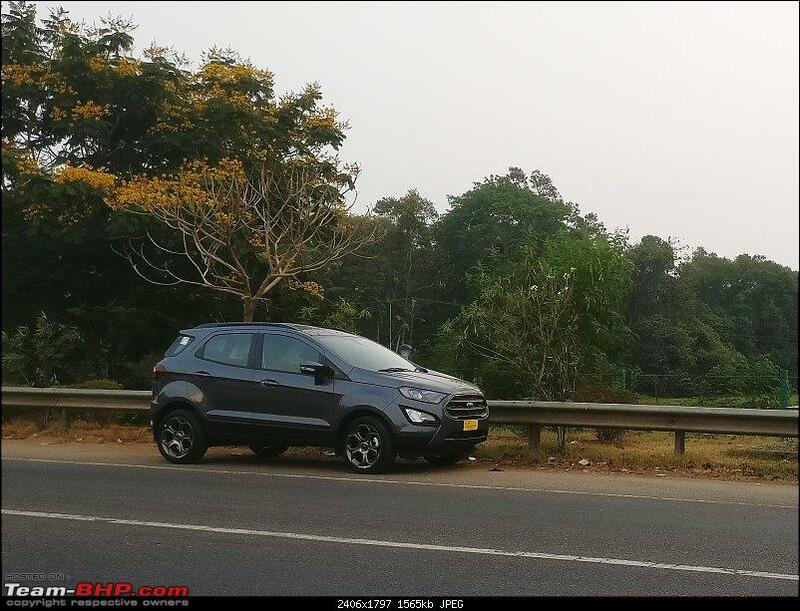 Ride quality is still not Ecosport’s forte.